Oats are a great grain with MANY advantages. From health benefits to a versatile ingredient, there are numerous reasons to include this grain in our meals and snacks. 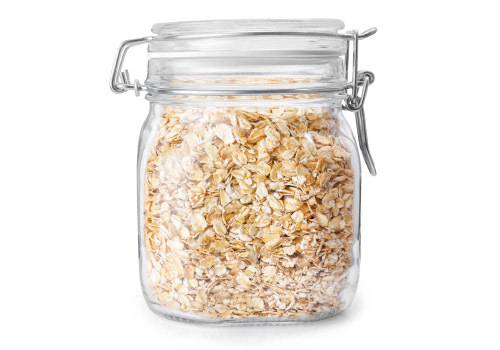 Healthy Oats contain several components which may benefit our health; with key components being the soluble fiber, beta-glucan, and plant chemicals serving as antioxidants. Research has shown possible ties to managing weight may be due to the role beta-glucan plays in slowing digestion, increasing satiety, and suppressing appetite. Beta-glucan also helps bind cholesterol-rich bile acids in the intestine; transporting them through the digestive system and out of the body. Whole oats also contain antioxidants which reduce the damaging effects of chronic inflammation associated with various health concerns like cardiovascular disease and diabetes. The versatility of oats makes them desirable. Oatmeal is a traditional option, but there are many more ways to include this nutritional powerhouse in your meals and snacks. Use oats in baked goods, as an addition to smoothies, or as a substitute for rice and other grains. The possibilities are endless!